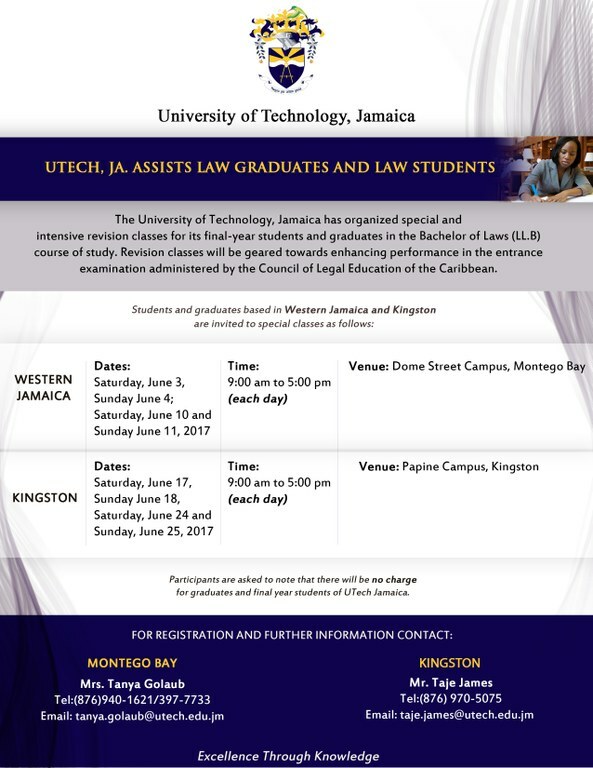 Revision Classes for UTech, Jamaica Law Students — UTech, Ja. The University of Technology, Jamaica (UTech) has announced that it will be conducting special law revision classes for students who intend to take the Norman Manley Law School entrance examination. UTech has said that the special law revision classes will take the form of a boot camp, open to all law graduates of UTech and final year LLB students at the institution. The first boot camp will be primarily for UTech persons based in western Jamaica, and will be held at the Dome Street campus of UTech in Montego Bay on the weekends of June 3 and 4, and June 10 and 11. The second will be for other UTech students from Kingston and other areas, and will be held at the Papine campus of UTech, on the weekends of June 17 and 18, and June 24 and 25. 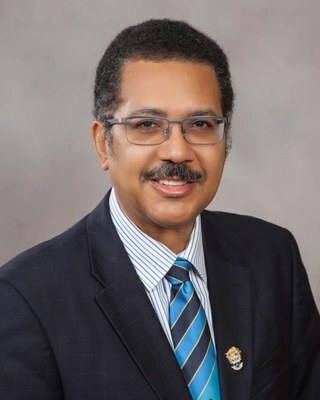 “We intend to have UTech persons go through rigorous practice in preparation for the Norman Manley entrance examination,” noted president of UTech Professor Stephen Vasciannie. “We believe that UTech students should have a fair opportunity to enter the Norman Manley Law School. The present system is open to criticism — which I have offered in the past. But, while we work towards changing it, we want to ensure that all our students are reinforced in their revision exercises in the drive for excellence,” Professor Vasciannie stated. The special revision classes will be offered free of cost, the university revealed.